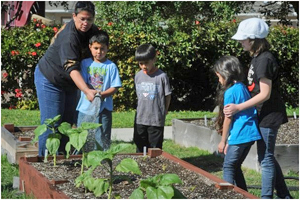 The Ventura County Star recently came to Navy Base Ventura County and talked with kids who are taking part in an after school garden project. Many of the kids have gardens at home and love the way the fresh vegetables taste. For the story, go to http://bit.ly/JQEnGN.